Natural looking colour. 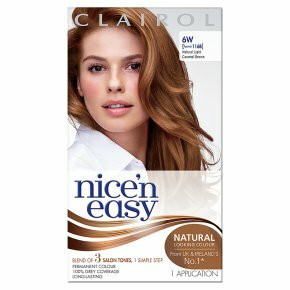 Nice'n Easy permanent natural hair colourant. Helps lock in natural looking colour and protect hair between colourings. Nice'n Easy provides 100% grey coverage and colour that lasts up to 8 weeks. 100% grey coverage. 6W natural light caramel brown.